Hyundai Motor Groupis the largest car-manufacturing company in the whole of the South Korea and a prominent car making company in the rest of the world. The story of its chairman Chung Mong Koo, the man who is accredited for all the success that Hyundai group basks in today is definitely worth knowing. Koo was the eldest son of the original founder of the Hyundai group, Chung-Ju Yung. After he graduated from the Hanyang university, his future was pretty much set in stone as the obvious heir to the Hyundai empire. 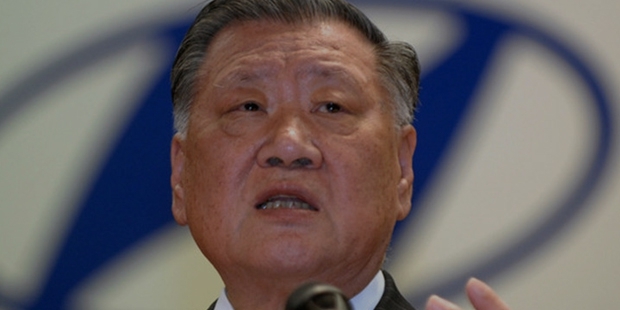 While the legacy of industries was split among the eight Chung brothers, Chung Mong Koo took over the Hyundai’s motor group from the year 1987. This was after he served as the CEO of other Hyundai industries such as the Hyundai Precision & Industry, Hyundai Pipe and Incheon Iron & Steel from 1977 through 1986. When Koo took over, the Hyundai cars weren’t as big as they are today. They were something of a second rate car makers at home ground South Korea. Koo practically propelled the brand to become the fifth largest car maker in the world and the biggest car maker in South Korea. Now, Hyundai produces an estimated of 2 million cars each year. It wasn’t a smooth sail towards success for Chung Mong Koo. Around 2006, he was arrested for investigation of embezzlement charges against him. When he violated the rules of arrest and left Seoul anyway, he was also sentenced for a three years in prison. Shortly after that, he was granted a bail and on the occasion of the 63rd independence of South Korea, all the charges on him were removed. For all his impeccable business skills, it isn’t a surprise that Chung Mong Koo won a lot of awards and honours. The Van Fleet Award and the Award by Detroit’s Automotive Hall of Fame were two of them. He was also named as the best businessman of 2004 by the Business Week magazine. Nearly ten years later, in 2012, Chung Mong Koo was also named as the one among the 50 most influential people in the Bloomberg Markets magazine list. Apart from business, Chung Mong Koo’s keen interest in archery is worth a mention. He had been lending massive support to the archers of South Korea for quite some time. He was also the Chairman of Korea Archery Association for around ten years. Koo is, in a way, responsible for all the innumerable medals that South Korea always wins for archery at international sports events. There are business legends who influence the world so much that they become a source of inspiration for generations after their reign. Chung Mong Koo is definitely the pioneer of Hyundai legacy.